Nine Seagulls have been selected into the initial 42-man VFL state squad. Williamstown Football Club is thrilled to announce a new three-year corporate partnership with Hocking Stuart real estate. Williamstown Football Club is saddened by the recent passing of life member, Doug Nicholson. Our Supporters Bus will be hitting the road again this Saturday for our Round 5 clash with North Ballarat. Williamstown development's two-game winning streak came to an end yesterday, when they were defeated by 51 points at the hands of Coburg. Williamstown has jumped back into the eight after a thumping 88-point win over Coburg at Burbank Oval today. Williamstown will make at least two changes to its senior lineup as it faces fellow standalone rival Coburg at Burbank Oval on Sunday. Williamstown's development side have knocked off 2016 premiers Box Hill by 18 points at Burbank Oval on Sunday. Williamstown key forward Ayce Cordy has been handed a two-week suspension after an incident during Round 3's clash with Box Hill. 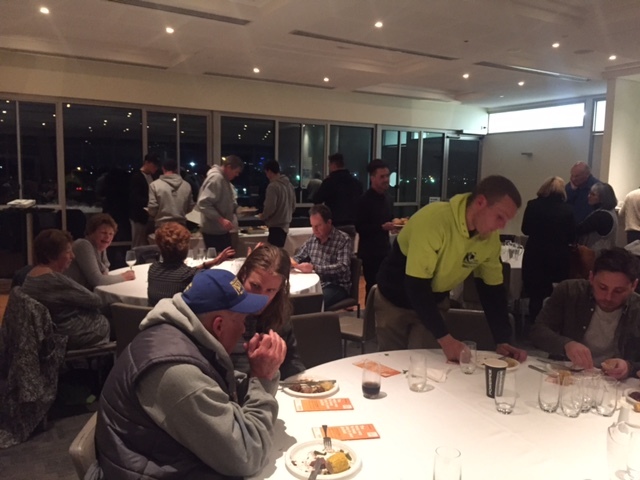 Join us at Seaview Williamstown Events Centre this Thursday night for our members & supporters dinner ahead of our Round 4 clash with Coburg.